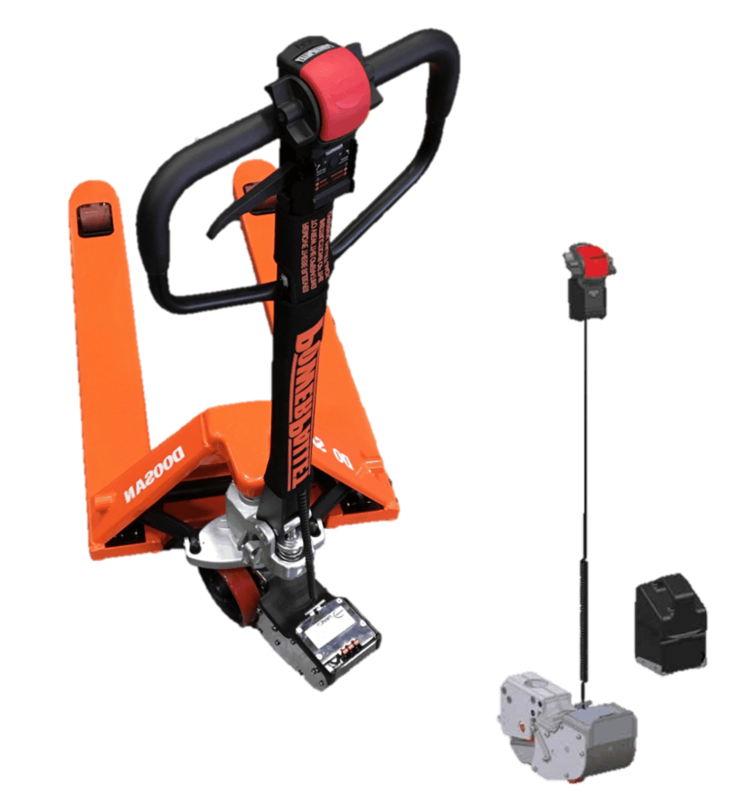 The PowerPallet 2000 allows you to retrofit your pallet jack with a motor. Contact the sales team at (704) 842-3242 or sales@atlanticforkliftservices.com. Highly efficient and reliable forklifts with productivity enhancing features. Totally enclosed bearings that guard against failure from dust and prolongs service life. 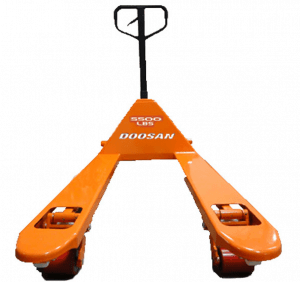 A steel drawbar with protected handle for extra safety and strength. Pivot mounted large polyurethane steer wheels to ensure stability on uneven surfaces. 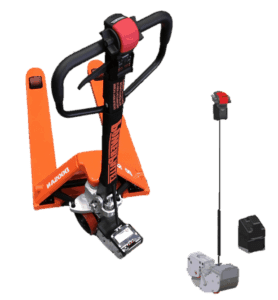 202° steer handle arc enables easy maneuvering of pallet truck in confined areas. Large polyurethane wheels for improved stability and allows for quiet operation.